If you've followed my blog for a while, you will know that I am a HUGE Sherlock Holmes fan. So when I found The House of Silk in my stocking a few Christmases back, I was rather excited, to put it lightly. If ever there was a character to act as a role model for me when I was a child, then it was Sherlock Holmes. I still want to be like him (minus the whole cocaine/morphine habit, obviously) so much that it hurts. But in the time between getting The House of Silk and actually reading it, I have been a little bit burned by my desire to read Holmes-related books beyond the canon. Mainly through the utter farce that was The Baker Street Phantom. Since my prior bad experience, I was a bit more cautious. Was it well founded? The House of Silk begins as most Holmes stories do, with a distressed member of the public turning to 221B Baker Street with an inexplicable problem. In this case it is an art dealer by the name of Carstairs, who is being followed by a strange silent figure who bears a striking resemblance to an Irish-American gangster who he inadvertently had dealings with over a year before. When the case progresses to murder though, Holmes and Watson find themselves plunging headfirst into a massive conspiracy surrounding the eponymous House of Silk. Let me say this right off the bat. I like this book. Horowitz has written a compelling narrative that fits into the Holmes canon rather nicely and explores a few areas of Victorian society that are perhaps overlooked in the main canon. It is perfectly serviceable and is a fast, enjoyable read. I will, however, be nitpicking for the remainder of the review, because there are a couple of things that just don't sit right with me as a Holmes purist. 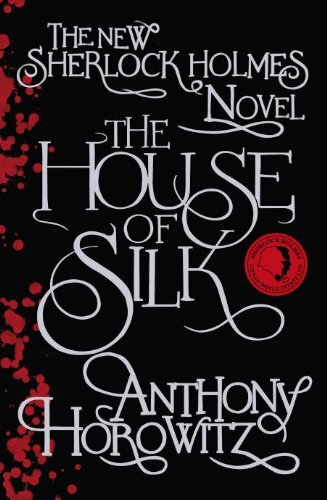 One of the first things that struck me was how obvious it was that The House of Silk was written by a fan. And not in a good way. The narrative is positively crawling with references to the main Holmes canon, in ways that only someone who has already read most or all of the canon will know. First of all, that is really distracting to a long-term fan of the universe, because it's just not something that's really done. If I wanted to re-read his other adventures, I would. I feel like Horowitz is sabotaging his own book by reminding long-term fans that they could be reading other, better Holmes stories. Second, this has to be really confusing for people who have never read any Holmes stories before. With the exception of "The Empty House", the Sherlock Holmes canon is one where you can basically pick any one of the stories and be perfectly aware of what's happening, because they are self-contained. For a potential new fan, the sheer amount of references alone is going to be alienating because there is no way for them to really get the importance of any of them. Additionally, some of the references made are really quite obscure. While it might be one of my favourites, I am aware that "The Adventure of the Devil's Foot" is not one of the more well-known, so when I saw that referenced I was more than a little confused. It just seems like a mis-step. 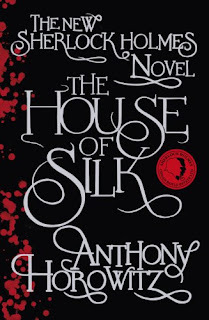 The other thing that really bugs me strays a little into spoiler territory, so if you still want to read The House of Silk, then I would skip to the review summary. Let's just say that there's a pretty glaring plot hole that sort of makes its place in the main canon a bit suspect. Right, so Holmes gets arrested early on in the narrative and Watson finds himself in a meeting with Moriarty as a result. Due to his and Holmes' matching goals with regards to the House of Silk, Moriarty gives Watson the key to Holmes' cell so that he can work out a means of escape, on the condition that Watson keep their meeting a secret. Watson decides to smuggle the key into prison by concealing it in the spine of one of Holmes' books and then hiding a coded message on one of the pages. As it turns out, Holmes manages to escape by himself, meaning that the key is unnecessary. At which point, the book isn't mentioned. What happens to it? Watson can hardly give it back or Holmes would notice. But Holmes will also notice that it's suddenly gone missing. Perhaps a little thing, but it does make it seem like Moriarty's presence was shoe-horned into the narrative as a moment of literary fanservice.